Brown, who lost to former Florida State Sen. Al Lawson in the August 2016 primary, spent $11,278 on "lodging" at a Marriot Hotel in Bethesda, Maryland in late September 2016, nearly one month after the election. 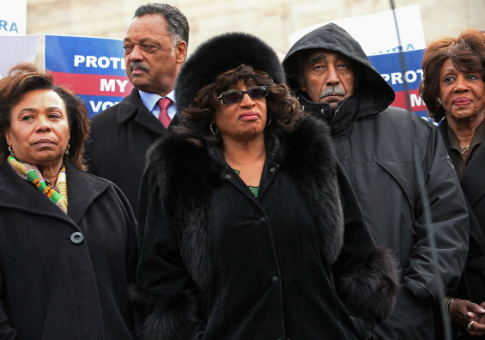 Brown and her chief of staff, Elias "Ronnie" Simmons, were indicted in July 2016 on 24 counts of fraud stemming from a sham foundation created by the former congresswoman. More than $800,000 was deposited into Brown's Virginia-based foundation, One Door for Education, which spent only $1,200 on charity. Federal authorities found that Brown, Elias, and Carla Wiley, the foundation's president, spent $200,000 of the group's funds on luxury vacations, NFL tickets, plane tickets, car repairs, and lavish events. One of the lobbyists, Michael Korens, provided the Free Beacon with an email from Simmons when asked who solicited the contribution. The email contained a flyer for a fundraising event at Johnny's Half Shell, a now-closed seafood restaurant located on Capitol Hill. A Brown spokesman previously said he did not know if the fund was approved by the ethics committee to be used on her criminal charges. Tom Rust, chief counsel of the ethics committee, did not respond to Free Beacon inquiries about whether the fund was approved. Brown could not be reached for comment. This entry was posted in Politics and tagged Corrine Brown, Corruption. Bookmark the permalink.